Garden Bytes from the Big Apple: It's just wrong! 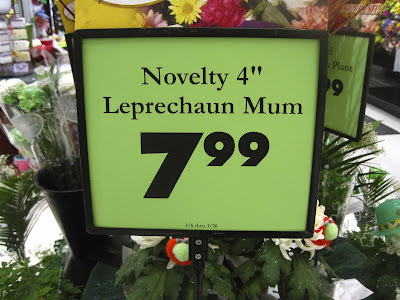 I know, I know, we all love St. Paddy's Day. We get to wear green (best color EVER) and it signals the onset of spring (just ONE MORE WEEK)! But things have gone too far. Until now I've suffered in silence through green beer and "Kiss me, I'm Irish!" I've muscled my way through rowdy crowds and parade barriers on Fifth Avenue, trying to get to work. It was especially tough the year I worked in Chicago...the whole dying of the river thing had me scratching my head. Still, I didn't complain. Just say no, people! 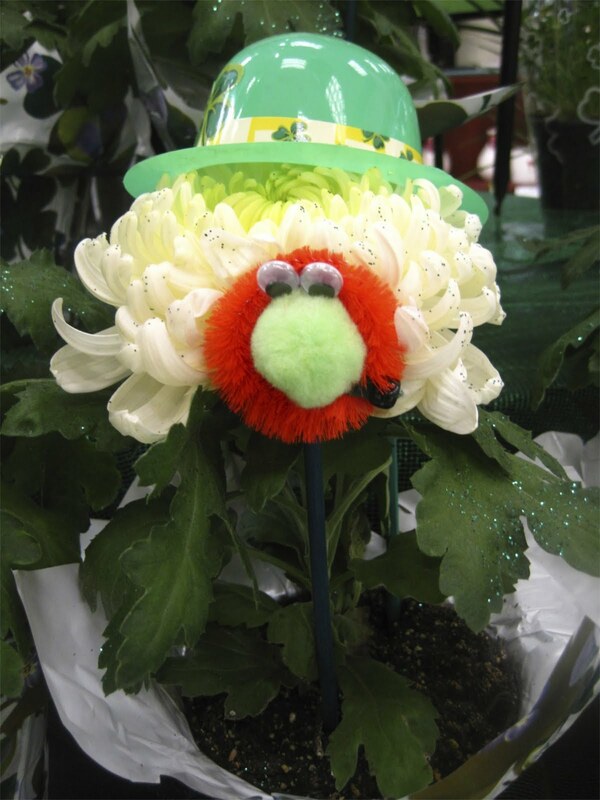 The humiliation of the Chrysanthemum must stop! What did it ever do to you? OMG, it's so ridiculous it's genius! Ick. With you on this sister! 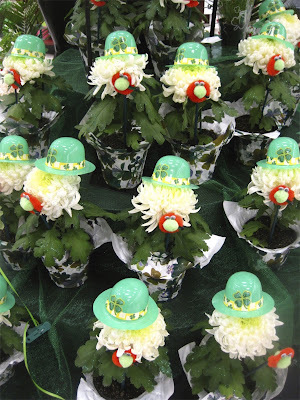 Ai ai ai, it was bad enough with they put them in green food coloring, so they'd turn green. And not a particularly nice green. But this is going too far! was it wrong to laugh out loud? That is just a crime against nature! Happy St. Paddy's Day to you though.